The faculty at Samford University in Alabama has voted to give official recognition to a pro-LGBT student organization. The full faculty at the Baptist school voted April 27 to recommend approval of Samford Together, a student group that would offer a forum for discussing sexual orientation and gender identity in “an open-minded and accepting environment,” reports Baptist Press. 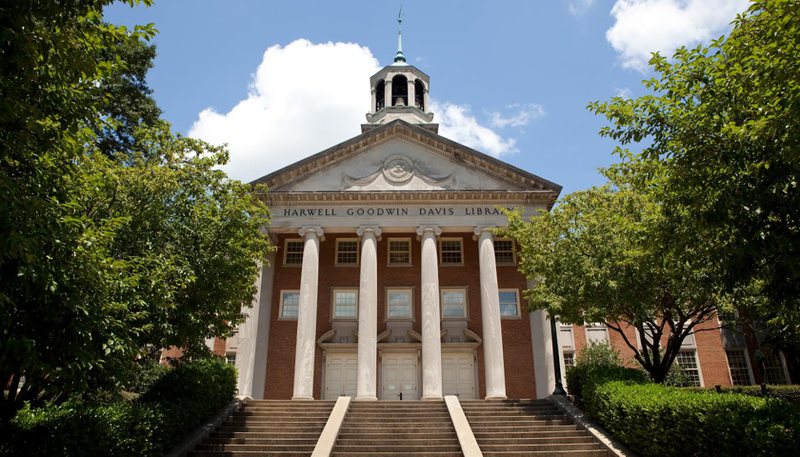 The recommendation could have “serious implications” for the ties between the university and the Alabama Baptist Convention, according to a joint statement by the convention president and the executive director of its state board of missions. The statement said approval of such a group would go against Scripture. Meanwhile, Samford President Andrew Westmoreland is trying to find middle ground. He told the faculty before the vote that he holds to the biblical view of marriage between a man and a woman and said many of Samford’s constituents believe the same. Yet he did not take a position on Samford Together, according to the Baptist Press. Final approval must be given by the school’s board of trustees. An unofficial separate group called Safe Samford advises students to look for Safe Zone stickers outside the offices of faculty and staff when looking for someone to speak with about LGBT issues. I won’t support the “National Baptist” if they give money to any thing that opposes the Scripture.